New legislation in South Africa is addressing a void which has for a number of years frustrated all those so deeply concerned with the safety of our children on the roads. The void referred to was specifically with regards to child passengers [infants] younger than 3 years old. Although everybody older than 3 years had to be buckled up, there was no stipulation enforcing drivers to ensure that those younger than 3 years were safely restrained in a car seat. A child was recognised as a person between 3and 14 years but there was no provision for an infant [0-3 years] in the seatbelt legislation. 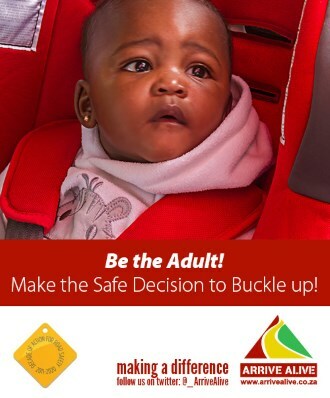 The Minister of Transport has introduced a new regulation to the National Road Traffic Act whereby officially as of 1 May, all children under three-years-old will have to be strapped into a car seat when travelling in a car. The Legislation in red will be effective as of 30 April. The Regulation in blue is existing legislation on child seats. an infant is a person below the age of three years. Any reference to a safety belt in these regulations shall be construed as a reference to a seat belt. Motor vehicles which are required to be fitted with seatbelts in terms of the relevant requirements as contemplated in regulation 216, shall be fitted with seatbelts in accordance therewith. In addition to the requirements of paragraph (a), no person shall operate a minibus the gross vehicle mass of which exceeds 2 500 kg, unless seatbelts are fitted to the space on the front seat occupied by the driver, and if such front seat has seating accommodation for passengers, unless seatbelts are fitted for the driver and at least one passenger. No person shall operate a motor vehicle on a public road unless the seatbelts fitted to such motor vehicle are in good working order.  Seatbelts fitted to a motor vehicle may only be removed for repair or replacement purposes and such motor vehicle may not be used on a public road while such seatbelts are being repaired or replaced. In addition to the requirements of paragraph (a), no person shall operate a minibus or midibus, first registered after 04 September 2006,operating in terms of an operating licence, unless seatbelts are fitted for every seat in the motor vehicle. the belt configuration for a seat in the rear of a motor vehicle shall be a 2-point belt or a 3-point belt, with anchorages in accordance with SANS 1430 : Anchorages for restraining devices in motor vehicles", and installed in accordance with SANS " 10168: Installation of safety devices (Safety belts in motor vehicles). No adult shall occupy a seat in a motor vehicle operated on a public road which is fitted with a seatbelt unless such person wears such seatbelt: Provided that the provisions of this regulation do not apply while reversing or moving in or out of a parking bay or area. No adult shall occupy a seat on a row of seats in a motor vehicle operated on a public road which is not fitted with a seatbelt, unless all other seats on such row which are fitted with seatbelts are already occupied. if no child restraint is available, wears the seatbelt if an unoccupied seat which is fitted with a seatbelt is available. (6A) The driver of a motor vehicle operated on a public road shall ensure that an infant travelling in such a motor vehicle is seated on an appropriate child restraint: Provided that this provision shall not apply in a case of a minibus, minibus or bus operating for reward. Reg 213 (6A) will be in force as from 30 April 2015. If no seat, equipped with a seatbelt is available in a motor vehicle the driver of the motor vehicle operated on a public road shall ensure that a child shall, if such motor vehicle is equipped with a rear seat, be seated on such rear seat. a. A seatbelt shall comply with the standard specification SABS 1080 “Restraining devices for occupants of adult build in motor vehicles (Revised requirements)” and bear a certification mark or approval mark. b. A child restraint shall comply with the standard specification SABS 1340 “Child restraining devices in motor vehicles” and bear a certification mark or approval mark. The MEC may exempt a person from the provisions of this regulation on such medical grounds and under such conditions he or she may deem expedient. An exemption from wearing a seatbelt in a prescribed territory shall be deemed to be an exemption in terms of sub-regulation (9) for the period of validity thereof. The driver of a motor vehicle shall ensure that all persons travelling in such motor vehicle shall wear a seat belt as contemplated in this regulation. It is important to recognise that creating the law is only one part towards safety. The public/ drivers need to obey the rules of the roads and those rules need to be enforced! The existing legislation pre the amendment already catered for children of 3+. We have unfortunately too often seen a disregard for this road legislation and have seen far too many children not buckled up, standing on the back seats of cars or between the front seats of vehicles. The effectiveness of the car-seats legislation will depend on the ability of our traffic officers to enforce the legislation in a manner that is effective and non-corruptible! What are the specifications as to the car seats? 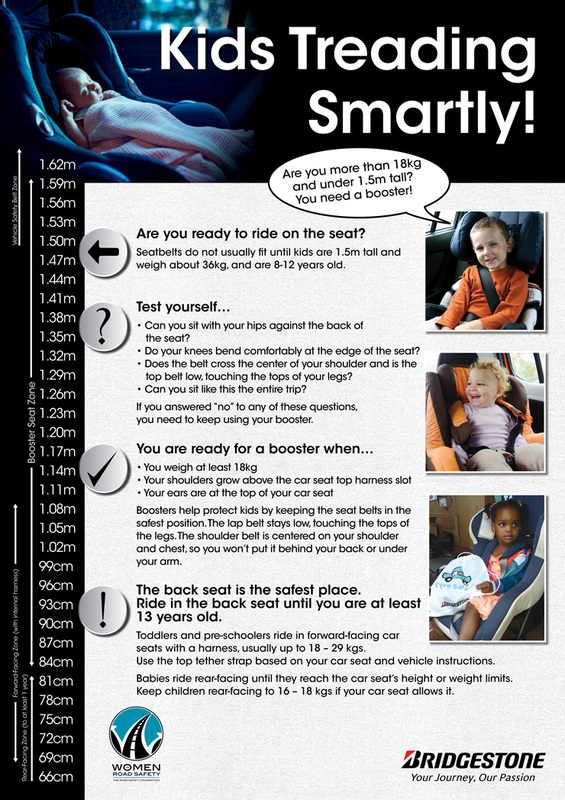 The child seat has to comply with the SANS legislation. Why is this Legislation so important for the Safety of our Young Children/ Infants? 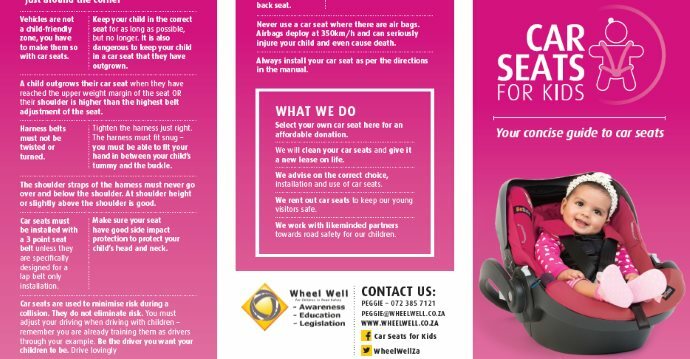 Studies have revealed that child safety seats that are correctly installed for use by children age 0-4 years can reduce the need for hospitalisation by 69% after a road crash. There has been much greater corporate and NGO involvement in protecting our young road users in recent years. 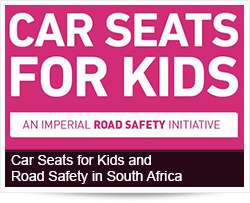 Companies such as Imperial through Imperial Road Safety and in Partnership with radio stations have assisted NGO's such as Wheel Well and Drive More Safely in helping parents in making the right decisions on child car seats. Adults need to be responsible and make safe decisions for their children. It is important for all road users that we make informed decisions on our roads. Our road crash fatality data has revealed that roads are simply too dangerous not to think safety, to drive defensively and to plan for every trip –however short or slow the drive might be! Defensive driving starts with ensuring the safety of all passengers on the front and back seat! Buckle Up – It Saves Lives and Reduces Severity of Injury! 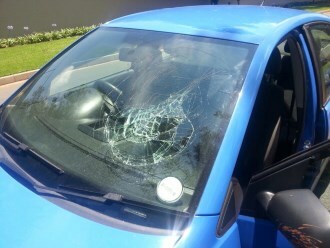 KFM and Imperial challenged citizens to help us keep our most precious road users safe! With these contributions, it was possible to collect more than 500 car seats!